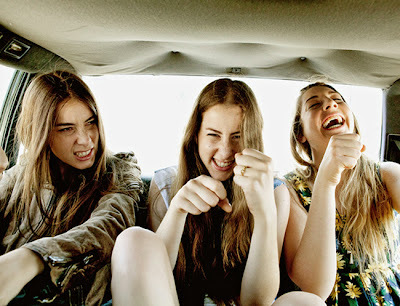 HAIM's debut album, Days are Gone, came out last week and it more than lived up to the high standards they set with the previously released singles. Outshining them all though is a hazed-out "Let My Love Open the Door"-styled gem of a song, "Honey & I." HAIM easily take a simple three-chord progression and by layering the right elements over top of it, make one hell of a pop song. This Daytrotter version is a little more subdued, but the point gets across nonetheless.